Included figures. 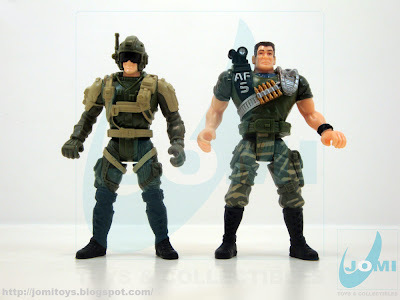 For more details on the right-hand figure, refer to "Soldier Force Deluxe Combat Vehicle - Tank". 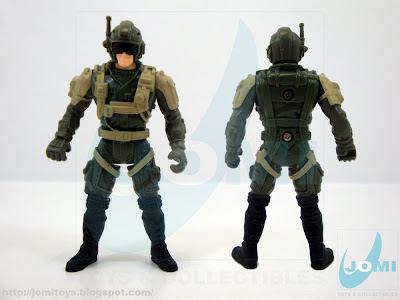 Figure: Combat pilot. Not the official name, but used during Series I to III. Presently discontinued. A great sculpt. Futuristic, sure. But still plausible as a modern soldier. 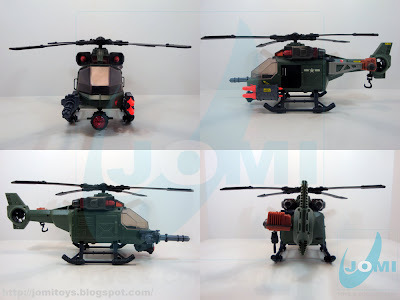 "Combat Helicopter". A true classic having had an array of repaints from Police to Dino themes. 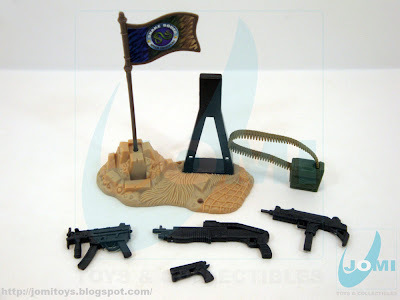 And of course, "Soldier Force". Great for a first Chap Mei attempt, and still very usable today. 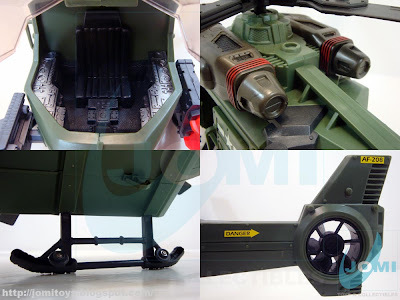 A lot of details and action-packed gadgets. 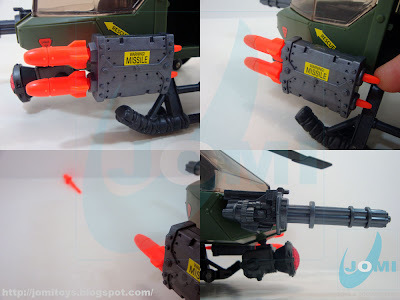 Weapon systems included a missile launcher (spring-loaded) and a side Gatling gun. Exaggerated in size, but great in detail. 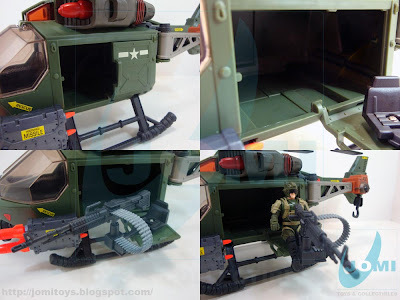 Also included a great door gunner station. The seat is actually unseen until one opens the door. Detail shots. One of the better detailed cockpits yet. Missing sticks, but... still good. 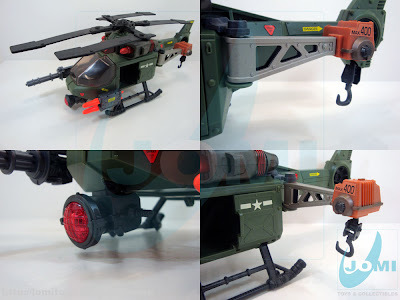 The landing gear is composed of skids equipped with wheels. 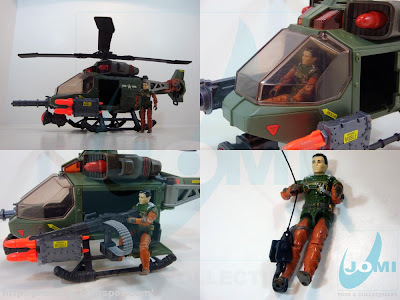 Scale shots with a RAH G.I.Joe action figure. This chopper has some serious possibilities. Oh, that's awesome, I haven't seen this piece before. 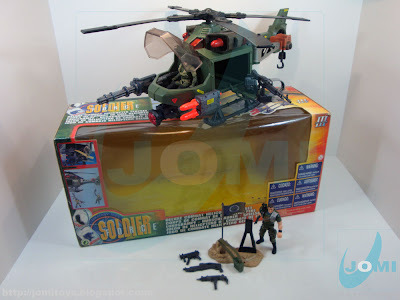 Of course I know it well from its Dino Valley incarnation,(light green) and I've also seen as Police Force (blue) and Rescue Mission (orange with the orca) but it's great to actually see that the sculpt originated in Soldier Force III - and you have the box! Well done!